Twenty years after the media’s “high-tech lynching”of Clarence Thomas,the Left’s tactics have not changed a bit. Cain announced just as this article was being written that one “gesture”in question was that Cain once placed his hand at chin-level,saying,“You’re about the same height as my wife.”He did not touch the woman,Cain said,but she felt “uncomfortable”about being sized up. Later in the day,he said substantially the same thing at the National Press Club. But when it comes to angry,gold-digging feminists,jokes can be deadly serious. The Austin-based law firm of Melton &Kumler answered the question,“What’s the difference between friendly joking and sexual harassment?” by saying,“The difference lies in how they are received.”If a woman is offended,the joke constitutes sexual harassment;if not,you may be the life of the party. The United Nations’definition of sexual harassment includes such offensive savagery as…. Barack Obama campaigns against a “do nothing” Congress. The “do everything” president is the real problem. The White House hammers the verbiage home on its website with the ubiquitous message:“We can’t wait on Congress:The time to act is now.” For the leader of the free world,like the leader of the Heartbreakers,the waiting is the hardest part. So the president issues a series of frenetic executive orders. One involves limiting some annual student loan payments to 10 percent of debtor income. Another establishes a website. Another encourages community health centers to hire veterans. This is what America has been waiting for? It’s sad to see a president employing the impatient rhetoric of dictators. This is mitigated,however,by the meek deeds of a humbled chief executive. Actions speak softer than words here. Perhaps we should be pleased that the president is going small. Launching an unauthorized war in Libya or using the Federal Communications Commission to impose internet rules that Congress had explicitly rejected were consequential usurpations. But shaving half of a percent off of a few students’ loans is Barack Obama channeling Bill Clinton on school uniforms. Who cares? Circumventing the legislative branch is a tacit admission of leadership failure…. These reports reveal the depth of the below-the-surface coordination between the Council on American Islamic Relations (CAIR), Hamas, Hezbollah, the Iranian regime and the Muslim Brotherhood in Egypt , Syria , Tunisia , Libya and Jordan . This bloc of regimes and organizations is now becoming the greatest Islamist radical lobby ever to penetrate and infiltrate the White House, Congress, the State Department and the main decision making centers of the US government. All of this is happening at a time when the US government is going through its most strategically dangerous period in modern times because of its need to confront the Iranian Mullahs regime, which is expanding in the Middle East, as well as penetrating the United States , via powerful and influential allies. …The real question now is: who is allowing the Muslim Brotherhood lobby to damage the relationship between the US Administration and millions of Middle East Christians? …Where exactly are the Obama Administration and the Muslim Brotherhood lobby, together, taking America ? Today the whispers floating around Washington, D.C. among the 'inside-the-beltway' pundits concerning the Project Gunwalker case focus on former Deputy Attorney-General David Ogden, a key figure in the scandal. The rumor is that Ogden has handed over to Darrell Issa's House Committee on Oversight and Government Reform a stack of documents that not only vindicate ATF whistleblowers but confirm the guilt of the perpetrators of the scheme within the DOJ and the ATF. One of the original Gunwalker reporters who first broke the story warns that such behind-the-scenes whispers may be a 'disinformation campaign' aimed at discrediting the allegations by raising false hopes only to see such hopes dashed later on. Such disinformation is a common practice among government elites. The Clinton Administration, for example, was quite adept at propaganda campaigns aimed at hiding truth by diverting attention to other issues. However, Issa's committee, when asked about the veracity of the rumors, would neither confirm nor deny that they possess such documents. If it is true that Ogden has turned over the goods, then this would represent a major turning-point in the ongoing investigation into what has become the single biggest political scandal and cover-up in U.S. history. Ogden was in on the Gunwalker scheme from the beginning, an Obama appointee and a Hillary Clinton crony who served in the Departments of Defense and State under President Bill Clinton. But only months after accepting the position at DOJ he suddenly resigned, citing administrative differences with Attorney-General Eric Holder. But the issue that is of central importance to any information provided by Ogden is that the former Deputy Attorney-General was a major part of every meeting that took place in 2009 during which the 'Fast and Furious' scheme took shape. While these meetings never mentioned 'Gunwalker' or 'Fast and Furious' by name, it is clear from the agenda and from the issues discussed that the focus was on Administration policy on the southern border and the guns and drugs flowing in and out of the country. She even seems to be mad at her silver-tongued husband. When the two were to set off on a luxurious 10-day vacation to Martha’s Vineyard, she left early - four hours early - and flew up alone. And those private vacations. She’s traveled to some of the world’s most plush resorts, taking 42 days off in the past year - that’d be eight weeks of vacay time if she held down a normal job. And it’s already begun. Mad Michelle this week popped down to Davis Island, Fla., to hobnob with the very people her husband despises - the 1 percent. At a massive mansion on the bay, filled with the wealthiest of the wealthy, America’s first lady launched into a tirade about “them” - the Republicans. “Let’s not forget about what it meant when my husband appointed two brilliant Supreme Court justices, and for the first time in history, our daughters - and our sons - watched three women take their seats on our nation’s highest court. But more importantly, let’s not forget the impact their decisions will have on our lives for decades to come - on our privacy and our security, on whether we can speak freely, worship openly and love whomever we choose. That is what’s at stake here,” she said to applause. 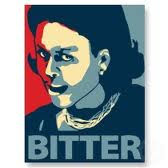 Just as her husband’s re-election strategy is inanely simplistic - blame the Republicans for thwarting his brilliant, economy-saving policies - so too is the first lady’s. She will go to the opulent homes of rich people across the country to tell them how rich people are to blame for America’s woes and guilt them into giving millions for her husband’s campaign. And the Princeton graduate will tell supporters they simply can’t comprehend the significance of what’s occurring today in America. 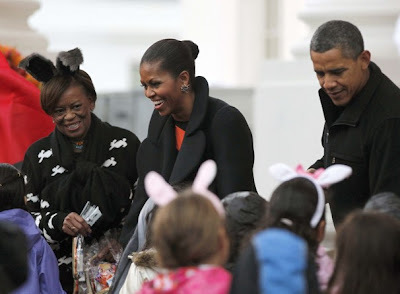 Yes, only Michelle and her husband can truly understand, although she often tells those uninformed people that when the president returns from one of his campaign trips, “He says, ‘You won’t believe what folks are going through.’ ” So maybe she is the only person in America who understands. So, America’s first lady will travel the country this election season to tell her fellow Americans just how bad it is out there (between lavish vacations, of course). Unlike President Ronald Reagan, who saw morning in America - that great shining city on a hill - Michelle will tell all who will listen that Republicans want to poison the air and water, stifle free speech, oppress the religious. She will offer not an uplifting vision of what her husband’s America could be but only a vapid view of what Republicans’ America would be. That is the America she lives in, and by campaign’s end, it will be clear that she’s no longer “proud of my country.” Maybe she never really was. Obama is the best thing that has happened to America in the last 100 years. A conservative friend forwarded one of your emails to me about "The End of Obama." While the message was just a sales pitch to subscribe to your magazine, I am totally supportive of your right to sell your publication and to make a profit - and generally supportive of the conservative slant. I do take issue with the dis-ingenuousness of the sales pitch itself. Identifying yourself as conservative is all well and good, but you are not Constitutionalists. There is a vast difference. You do not tell the whole truth because there are a legion of us who are easily as well informed as you, who do know more truth than you have published - and we're confident that you are not willing to face up to your moral duty to inform the public - or to do your patriotic duty to protect America and its founding precepts. That puts you in the same category as Obama and his socialist/communist minions, the Congress, SCOTUS, the judiciary, the unions and the media in all its forms. We are fully aware that many of the so called conservative think tanks who are always soliciting us for funds, are as complicit in the overall plot to destroy capitalism as you are. Hiding the real truth from the public puts you all squarely in that cabal. I can elaborate at great length upon the decline of the USA and the reasons for it, but this is just a brief note to let you know that there are millions of us who are finally awake as to the evil that dwells within our borders. We know that we may have to vote for a Republican and it will probably be the engineered choice of the party - but the two party system is finished. It will be dismantled in the not too distant future to be replaced by a Constitutional Congress to govern until morality and the rule of law is reestablished. The adversarial political system has been finely tuned to control the citizenry. If all elected representatives had the Constitution and the welfare of the United States as their primary purpose - all differences of methodology would be manageable. Your published content is about politics and manipulation of truth. It's never about the real issues that must be solved. Sure, we can take sides about politics - but we must never take sides about America and its principles. PS: I'll never see this in print, will I? Why don't you publish it in your next edition and ask your readers to specifically comment - without editorializing by you? I'm going to post it on several blogs which are avidly read every day. • Your word is your bond. When you demonstrate to eliminate student loan debt, you are advocating precisely the lack of integrity you decry in others. Loans are made based on solemn promises to repay them. No one forces you to borrow money; you are free to choose educational pursuits that don’t require loans, or to seek technical or vocational training that allows you to support yourself and your ongoing educational goals. Also, for the record, being a college student is not a state of victimization. It’s a privilege that billions of young people around the globe would die for - literally. • Marybeth Hicks is the author of “Don’t Let the Kids Drink the Kool-Aid: Confronting the Left’s Assault on Our Families, Faith and Freedom.” Find her on the Web at www.marybethhicks.com. ...YOU SHOULD NEVER TALK TO STRANGERS! 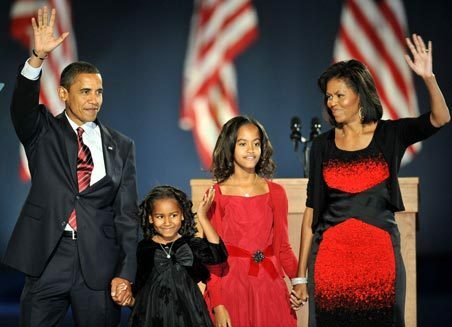 In a campaign where nothing has been left to chance, we have America’s new First Family, the Obamas, all decked out in red and black! When I looked at this picture this morning, I thought the choice of clothing colors was a bit odd. Really, who puts black on a little girl and why red & black on the all four of the Obamas? Why this combination of colors, when surely the campaign has been planning what the first photographs of the incoming faux president and his family would look like for weeks? Even the criss/crossed material on Michelle’s dress seemed odd to me. I had to dig a little deeper. Think about it. Don’t we always see politicians in shades or combinations of red, blue, navy, etc. Examples that quickly come to mind include Nancy Reagan’s red dresses, Hillary’s many shades of blues dresses and pantsuits, Laura Bush her many shades of blue and royal blue . . . the men follow the same the same etiquette. Why, because subliminally we are supposed to think of the red, white, and blue in our country’s flag. I didn’t have to dig very deep . . . here’s the answer. The red-and-black flag is the symbol of the anarcho-syndicalist and anarcho-communist movements. Black is the traditional color of anarchism, and red is the traditional color of socialism. The red-and-black flag combines the two colors in equal parts, with a simple diagonal split. 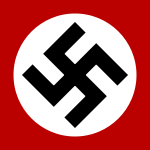 Typically, the red section is placed on the top-left corner, with the black on the bottom-right corner of the flag. This symbolizes the co-existence of anarchist and socialist ideals within the anarcho-syndicalism movement, and to symbolize the more socialistic means of the movement leading to a more anarchistic end. One of the most famous variations of the anarcho-syndicalist flag is that of Spain‘s Confederación Nacional del Trabajo (National Confederation of Labor, CNT), which still exists today. The CNT, along with the Federación Anarquista Ibérica (Iberian Anarchist Federation, FAI), a major militant faction within the CNT, was a major player in the popular anarchist movements in Spain of the late 19th and early 20th centuries. 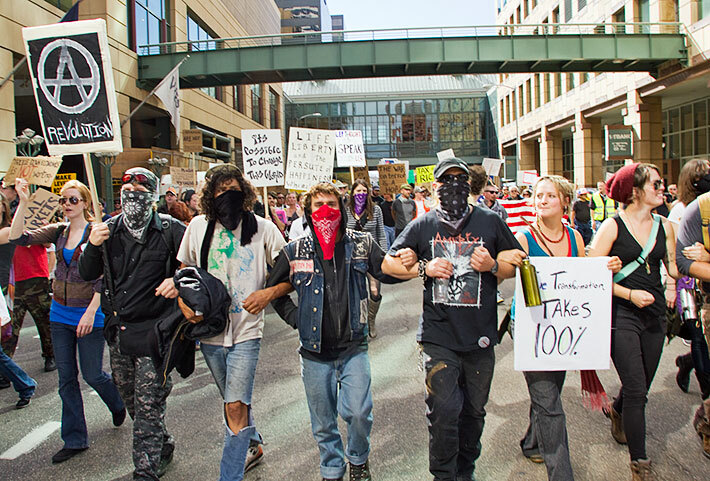 This group has its own version of the red-and-black flag with its initials on the flag. CNT is in the red, while FAI is in the black – the color of anarchy – as the FAI was founded in 1927 to keep the CNT dedicated to anarchist principles. Lest anyone think that campaigns and politicians don’t understand the importance and symbolism of the use of color in their campaigns, has anyone forgotten Hillary’s orange pantsuit the night of her speech at the Democratic Convention in August? At the time, I thought that was an odd choice too, until I realized that orange is a color of protest. HRC was so cool, protesting her unfair treatment by the DNC’s selection of Obama in her orange suit, and it went over most people’s heads. Way, to go, girl! It’s just one of the reasons we loved you! Memo to the Obama team: the choice of red & black clothing for this all important introduction to the American people was either one of the dumbest moves I’ve ever witnessed, or was incredibility insensitive to the history of this country, or was intentional. You may want to remember that the last time the world had to deal with a charismatic leader capable of keeping millions of people mesmerized with his rhetoric, his iconic symbol, also in red and black, looked like this . . .
Will you not speak out against election fraud and violations against The United States Constitution and the citizens of Dutchess County? The NYS Board of elections WILL BE COMMITTING ELECTION FRAUD by placing Barack Hussein Obama on the Presidential ballot for the 2012 election. Oct. 22, 2011: Republican presidential candidate Herman Cain speaks in Des Moines, Iowa. Republican presidential hopeful Herman Cain has taken the lead in the race to win the Iowa Caucuses, according to a Des Moines Register poll published Saturday. Cain finished with 23 percent, narrowly beating former Massachusetts Gov. Mitt Romney who finished with 22 percent. The two are essentially tied however, as Cain's one point lead falls within the poll's +/-4.9 percentage point margin of error. Cain's finish shows a significant gain of support in Iowa, as he scored just 10 percent in the Register's first poll held in June. Romney's support relatively stayed the same. The retired pizza executive's numbers strengthened in Iowa despite him spending little time campaigning The Hawkeye State, with only one appearance there since Aug. 13 -- at the Iowa Faith and Freedom Coalition's presidential forum on Oct. 22. 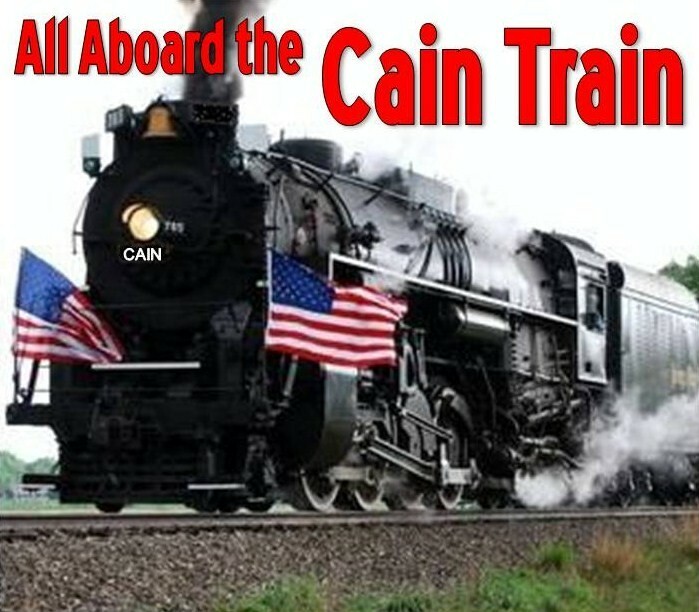 In a post on Facebook, Cain said, "I am glad to hear that the people of Iowa want a proven problem solver offering real solutions ... Thank you." Texas Rep. Ron Paul finished third in the poll on 12 percent, while no other contender polled more than 10 percent. All this mystery surrounding Obama speaks to a great deficiency in the American way of doing things. No one seeking the office of the President of the United States of America, or any elected office for that matter, has the right to any expectation of privacy. The notion that one can say, in effect, " I want you to vote for me for President, for leader of the free world, but there are things about me that I don't want you to know," is an unacceptable absurdity! No one running for high office has the right to tell the electorate that there are things about themselves that they want to keep hidden! Clinton withheld his medical records, Kerry withheld his military records, and Obama has withheld his entire recorded history. Why the American people tolerate this nonsense is beyond my understanding. Anyone who aspires to be President of the United States of America had best be prepared to divulge every facet of their being to the American people, and withhold nothing! The People should demand nothing less! Should the People desire the candidate undergo a colonoscopy, he, or she, had best immediately bend over, or get the hell out of the race. Period! End of story! During the last election cycle, I remember Charles Krauthammer writing a euphoric column because a Black man, Barack Obama was a serious presidential candidate. I felt that I needed to find out more about him before I thought he should be in the White House. I also have read all I can about his origins, and the more I read the more disturbed I become. All of his associations thoughout his life have been Maxists. His early years are still in the shadows, and at times I think that even Barack Obama doesn't know. But every action President Obama takes shows me that he does not like this country and is trying to destroy it. If we give him four more years, we will allow the destruction to become permanent. Obama is "president" because he and his enablers committed what amounts to a bloodless coup d'etat to put him there. He and ACORN knowingly committed voter fraud, and his campiagn knowingly accepted illegal and/or foreign campaign contributions. His New Black Panthers menaced people at the polls. Nothing was done by the Bush DOJ. 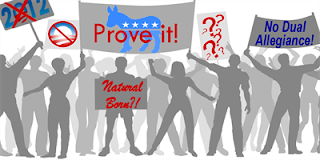 Using Senate Resolution 511 as political cover, Nancy Pelosi filed two (2) different certifications of election to place Barry Soetoro on the ballot as Barack Obama, thus knowingly committing fraud. Members of the Congress knowingly violated the constitution, which clearly forbids a person of foreign birth from becoming CIC and chief executive, by ignoring Obama's background and known origins, and then failed to act upon the information when it became known. This is also a crime, known as misprision of felony. Obama is guilty of felonies at mutiple levels; his online electronic birth certificate has been conclusively shown to be a fake; he is using a social security number issued in Connecticutt, a state he has never lived in, and his selective service number is bogus. Obama has had multiple names and may have a criminal record on one or more of them. He probably listed his origins as an Indonesian Muslim when applying to Occidental College, but his records have been redacted. Why was BHO's first act in office to use his new authority to seal his records? Hiding something you don't want us to see? If yo are interested, seek out Larry Sellin's lengthy series of articles on Obama, at Canada Free Press (now archived) and the Post and Email websites. Dr. Sellin (LTC, USA, ret.) has done yeoman work in researching, analyzing and interpreting the whole lawless debacle. I have always been a pretty good judge of character, but, as a Lifelong Democrat in 2008, I saw right thru Obama's BS and Lies. That was all I could hear coming from his mouth. I vote on Past Record and Accomplishments. Obama had neither, so I voted McCain, the second time in my life I had voted for a Republican. I helped vote Carter in office and I helped vote him out after he proved worthless. With Hussein, I could tell right off he was bad news, it was so obvious. I did pray that he would prove me wrong and that he would make a great Leader, but that never happened and won't happen. As in 2008, I will not vote for Obama or anyone in the Democratic Party, which actually does not exist anymore, instead, it should be renamed the Looney Tune Legion of Demons Party, would fit them so much better. I hope to be Raising Cain in 2012! HERMAN CAIN 2012! 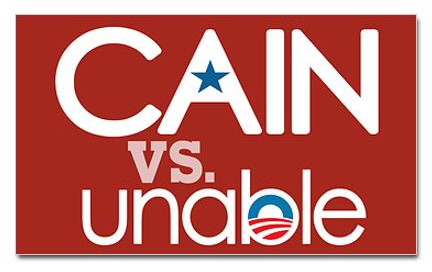 Mr Cain has more Intelligence and Common Sense in his nose than Obama has in his whole being or will ever hope to have! The Herman Cain phenomenon is the latest puzzlement of those who think only they’re wise enough and entitled enough to tell the rest of us which fork to use. 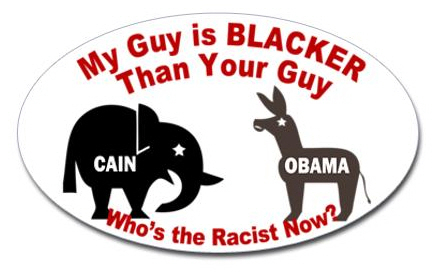 Mr. Cain’s sin is not that he doesn’t have the usual qualifications for president. Barack Obama established the precedent that presidents can attempt to do the job with on-the-job training. 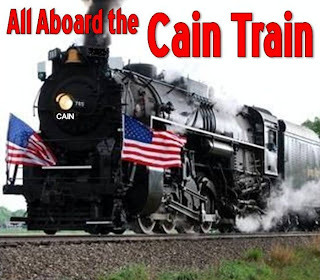 Mr. Cain’s sin is that he demonstrates, with considerable eloquence, that the notion that Republicans and other conservatives are mean-spirited bigots is the enormous lie of conventional media wisdom. In fairness to the facts, the diehards on the left tried similar insults of Ronald Reagan, too. When he died, recognized widely as the man who won the Cold War and put the Soviets in their place, they couldn’t even be gracious to the memory of the dead. The tattered remnants of what was left of the counterculture cried tears of baffled frustration that the passage of only a little more than a decade had conferred universal recognition of the remarkable accomplishments of the 40th president. The Internet sites where embittered lefties gather to trade their toxins — “you show me yours, and I’ll show you mine” — were aglow once more with incendiary hatred. The Gipper was called a “stupid lizard”; one best-selling author said of him: “Killer, coward, con man — Ronald Reagan, goodbye and good riddance.” Ted Rall, a syndicated cartoonist, gloated over the Gipper’s death, certain that he was at last with Old Scratch: “I’m sure he’s turning crispy brown right about now.” A “gay activist” (another aspiring theologian) wrote that Mr. Reagan would “spend eternity in hell” because he was “responsible for 500,000 American AIDS deaths and 10 million worldwide,” which if true would have made the Gipper the studliest and busiest man in the bathhouse. In a much smaller way, Herman Cain has also achieved that most difficult of political tasks. He, too, has changed attitudes and perceptions about what is possible. The most remarkable fact about the Cain phenomenon is that three years after Barack Obama’s incompetence began to reveal itself, the other party, painted in vivid color as benighted and bigoted, demonstrates that it will happily consider a black candidate, too. The prospect of a choice between a black Democrat and a black Republican is the tale that beggars anything Hollywood could imagine. This reality owes nothing to the media, politicians of any stripe, or to the self-righteous elites. It owes everything to the ordinary men and women of the America that is great because America is good. Congress fully aware Obama is a fraud. AMERICAN NAZI PARTY SUPPORTS "OCCUPY"